Have you fallen into a bit of a style rut? Do you find yourself wearing the same thing over and over again, but don’t feel great in the clothes that you wear? 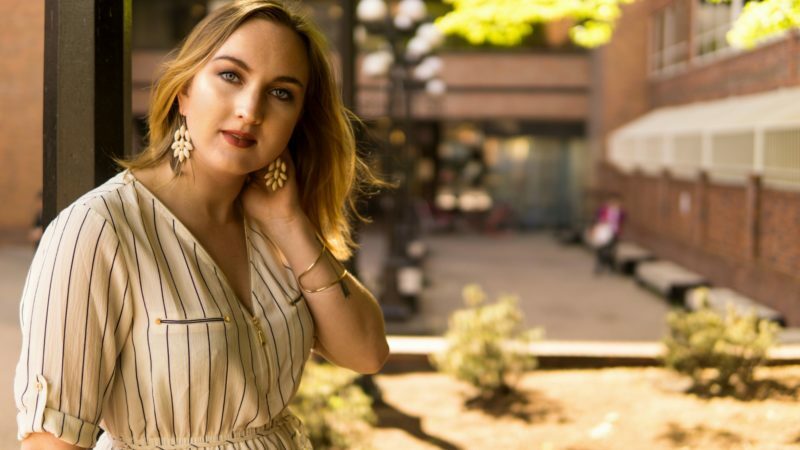 Break out of that style rut using these 5 tips below that will help you find your style using Pinterest as a great tool to show you what your style is like and how to wear items you’re attracted to, but aren’t sure how to wear. Create a style board in Pinterest, you can make it private if you would like to. Now search through Women’s Fashion, or any other keywords that you may like, like casual outfits, work outfits, etc. Pin all of the outfits you like to your style board. After a while you should start to see a pattern forming and you’ll be able to see your style and what kind of outfits you’re attracted to. Next time you’re at a store use your Pinterest board for reference and try on outfits similar to what you’ve pinned. Take note of what looks good on your body type and what doesn’t. Don’t be hard on yourself for something not looking right, it’s the clothes, not you. You would never beat up on your taste buds for not not liking certain food, so don’t do it to your body for not looking great in something. If you’re really struggling to find items that look good for you body type take a break and use Pinterest to search for outfits that will look good based on body type. Try searching outfits for a pear shaped body type, etc. Reassess and try again. Once you have your basics you can start trying trendier items that suit your style. If you’re unsure of how to wear an item search it on Pinterest. Perhaps you really love red pants, but aren’t sure how to style them. Search red pants outfits on Pinterest and you’ll get tons of outfit inspiration. Do this before you buy the item so you can make sure you can get at least 3 outfits out of it. I don’t buy anything until I can think of 3 different ways to wear it. Once you have your basic clothing pieces figured out start thinking about accessorizing. I’ve written a full blog post about how to accessorize, but a few helpful hints is to use the rule of 3. If you don’t have a vest, blazer, or sweater on, use a statement necklace or scarf as your third piece. You can also test bolder items in accessories, before moving into clothing items. Love leopard print, but scared to wear a full animal print top or pant? Try it out in a shoe or a bag first. There ya have it, 5 tips to help you find your style using Pinterest. If you have any style questions please feel free to reach out on social media or leave a comment below.